PARK Junghwan 9P is very close to winning 3 times consecutively. He is going to face KE Jie 9P in the final. 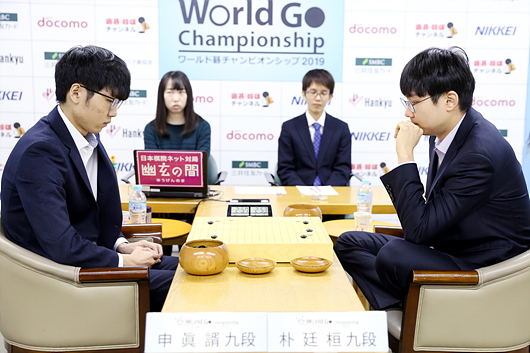 The semifinal of 'World Baduk Championship' was held at Nihon Ki-in Tokyo on 19th. 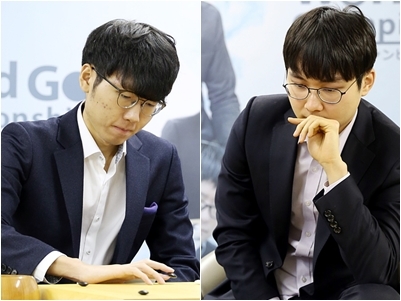 PARK Junghwan 9P, the No.1 rank in Korea, won SHIN Jinseo 9P, the second in the Korea, by resignation in just 182 moves and went to final. The joseki on the under right side was even for both, but SHIN made a mistake(61) and PARK led the game. After that, PARK played strongly and the game was decided whether capturing big group or not. PARK found the move that can make big group live. Park concentration on life&death led him to victory. 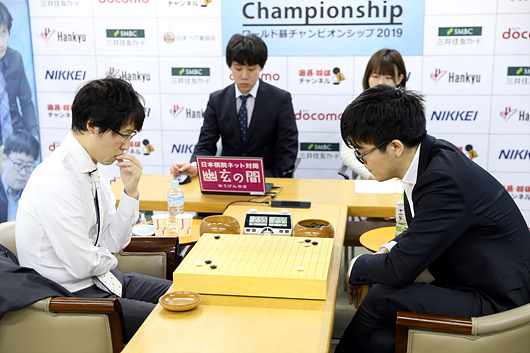 Meanwhile, KE Jie 9P won IYAMA Yuta 9P by resignation in just 193 moves. it was very tight game. Unexpectively, IYAMA Yuta 9P got a lead in the beginning but in the closing, he collapsed. Cyberoro is going to broadcast the final(PARK Junghwan - KE Jie) on the web from 10: 30 on 20th. And also, LEE Yeongkyu 9P will commentate in detail. PARK is ahead of 10 wins and 8 losses against KE.